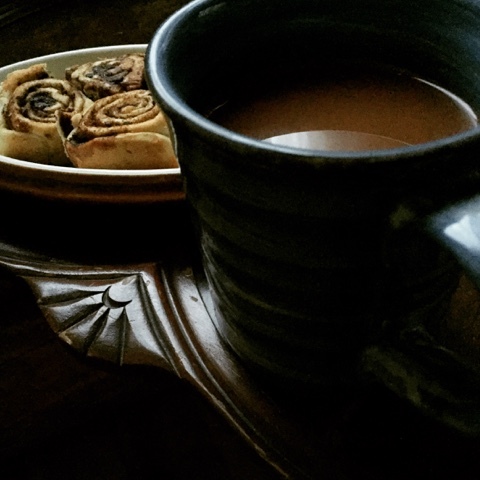 Figgy Nibby Cinnamon Rolls peeking out from behind my sipping cocoa on a cold morning. It's been a while. Life has been busy. I'm so blessed to have so many wonderful people and things surrounding me. 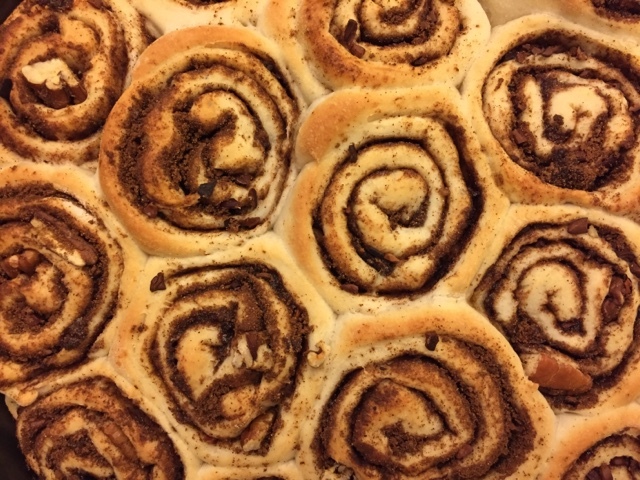 These cinnamon rolls are more of an art than an exact recipe. Feel free to improvise with what you have on hand. Use any roll recipe that is your favorite. I use the old Parker House Rolls recipe that my grandmother used and handed down to my mom except I omit the egg and replace the milk with water. When I bake with wheat these days, I do it for the people I love. The filling is where the cocoa, nibby, figgy part is applied, Keep in mind this is more of an art than a science. Don't be afraid to use whatever inclusions you think would blend well with the flavors you have on hand. Simply mix together and spread over your rolled out dough. 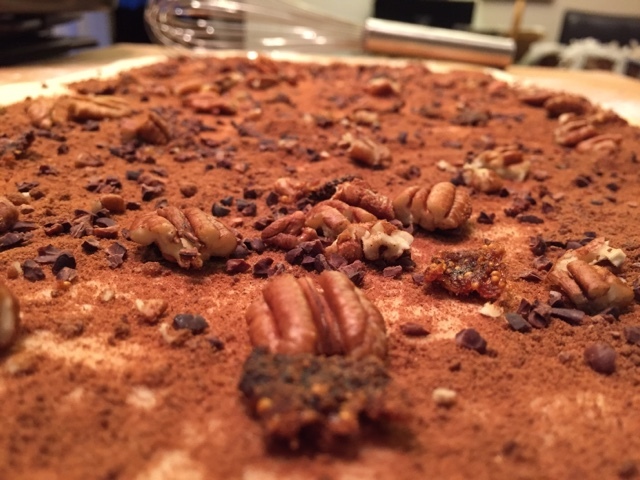 Roll up into a log, cut slices and put them in the baking pan. Allow them to rise for about 15 minutes in a warm place then bake for about 10-12 minutes at 350 degrees. Enjoy with sipping cocoa on a frosty winter day. Filling on the dough waiting to be rolled. Finished figgy nibby cinnamon rolls.